It isn’t too bad when mulling the menu at, say, In-N-Out Burger — which has a pretty sparse list of comestibles. Things aren’t so simple, however, when it comes to buying a brand-spanking new drone, which requires more forethought than deciding whether you want cheese on your burger or have your onions fresh or grilled. If you’re one of those new drone aficionados now interested in buying your own slice of hovering heaven, well, there’s no need to fret. To help out, we’ve put together a quick list of pointers from David Newton, a UK-based photographer, videographer and drone user with the Sandisk Extreme Team. For you responsible types who value safety, get familiar with some common safety do’s and don’ts as well. Now here’s a list of things to think about when buying a new drone. Why Do You Want a Drone? As with any other item you buy, the first question you should ponder is the purpose of your purchase. The same is true when picking a drone. Hobbyists, for example, may want to start out with something more affordable such as the Swann QuadForce or Xtreem Gravity Pursuit to work out the initial kinks of drone flying and figure out if it’s for them. 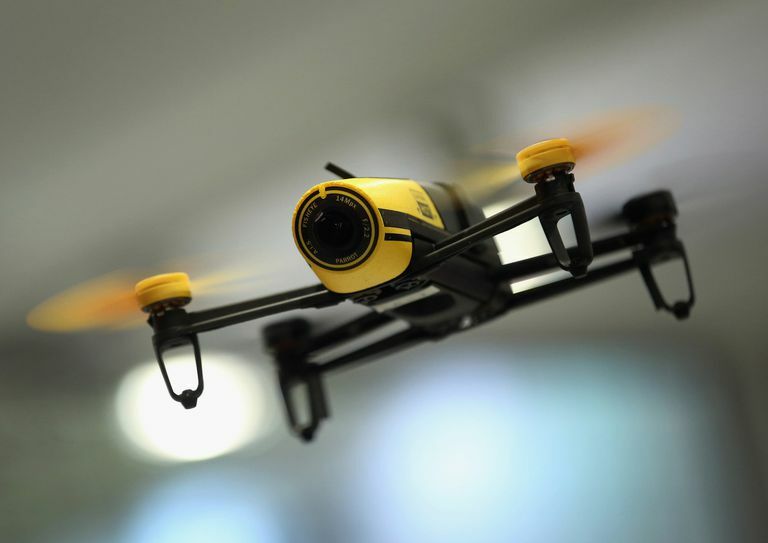 More thrill-seeking hobbyists could also go for something like a racing drone, which are typically very small, very fast and also very durable, which allows them to withstand more abuse. For folks interested in shooting pictures or video, things to think about include the size of the gear you want to use and the advanced control options you would like to have. This will determine the type and size of the drone as well as the number of rotors, which can range from the basic quadcopter to hexacopters and even octocopters. For the majority of folks, though, a quadcopter should fulfill their needs. Once you’ve figured out your purpose in life as a drone user, you can start thinking about the big stuff. Or the little stuff. How big of a drone you’re going to need will be determined by a few factors, including the kind of flying experience you want and the kind of equipment you plan to use. On the small end of the scale, you’ve got drones such as the DJI Phantom, which can be paired with a selection of small cameras, and 3D Robotics Solo, which can accommodate a GoPro. One step up in size is the DJI Inspire line, which allows folks to use camera options such as the 4K-capable X3 or the even more powerful X5R or Raw cam. For folks who want to strap some more serious gear, you can go big with drones such as the DJI Spreading Wings. This serious-looking drone features eight rotors and enough flight muscle to carry a Canon 5D Mark III or a Panasonic GH4. Want something even bigger? There’s the Alta Freefly, a honking drone system than can carry a serious camera such as the Epic-X Red Dragon. Then again, that capability will literally cost you, which we’ll get to a little bit later. Carrying prowess is good and all but it’s not the only feature you should think about when picking a drone. This is especially true if you plan to take video with your little flying wonder. Many drone makers provide software for iOS and Android but not all drone software is created equal. The 3D Robotics software, for example, offer “smart drone” options designed for shooting. These include an orbit function that lets your drone automatically fly around a target, follow an object such as a phone or even combine both. Some drone makers such as Yuneec have a tablet built into a controller so you don’t have to buy it separately. Other features include a stabilized gimbal for more stable video and photography and rising legs that hide them from the camera’s view so you don’t have them intruding in your shots. Battery life typically ranges between 10 minutes to 20 minutes so fast charging is another option worth thinking about. Combined with spare batteries, this should give you more operation time when you’re out and about. New and developing technologies such as hydrogen and high-stream fuel cells also hold promise. Then again, there’s one key factor that limits everyone’s drone buying options. For the most part, drone flying isn’t for penny pinchers. Having certain features and capabilities are certainly nice but you’re ultimately limited by your finances as well. Yes, you’ve got budget options that retail under $100 such as the Swann Quadforce but for the most part, a drone with a solid selection of features such as the Phantom starts out around $500 to $700. A Robotic Solo, meanwhile, starts out just under $1,000 and will cost you extra for capturing media as you’ll need to buy a GoPro separately. For folks who like to drink their liquids with their pinky raised, DJI’s Spreading Wings line starts around a couple of grand and can go up to $5,000. Then you’ve got drones in the Daddy Warbucks territory such as the Alta Freefly, which costs as much as a small car, retailing for nearly $18,000. Then again, such high-end drones are more the exception than the rule.